I was just about to launch my own Whaler for the first time this year when this fine specimen of a Nauset cruised up carrrying Paul Mullin. Now mostly fishing on inland Orchard Lake, this whale(r) spent much of its youth jumping waves on Lake Huron. The sea calls this whale(r) back to her west coast fishing grounds. 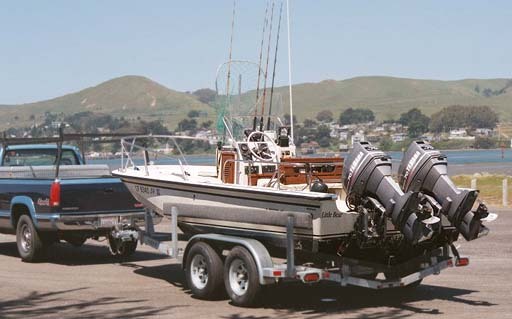 Those twin Yamaha 70's will take owner Tom Byrum, his son, and a friend 10 miles offshore from Bodega Bay, California. 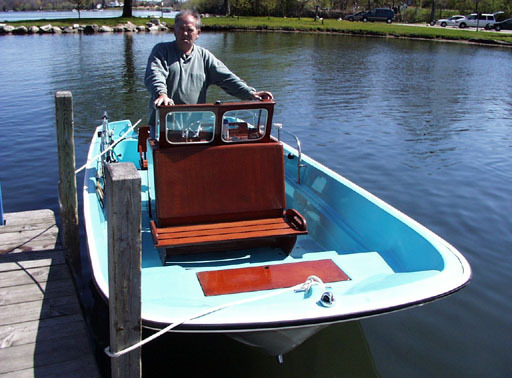 The sturdy Whaler hull will bring them safely back even when the ocean "kicks up." 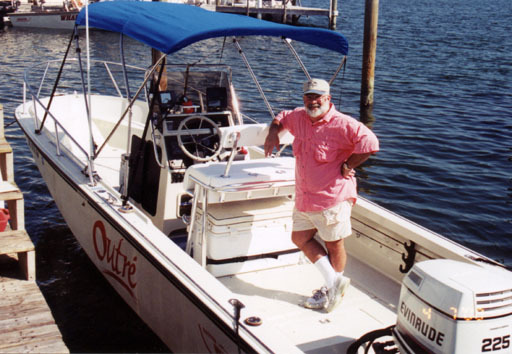 Recent upgrades are Garmin GPS, SiTex D/S and VHF, and Pacific Trailer. Next project: hydraulic steering. 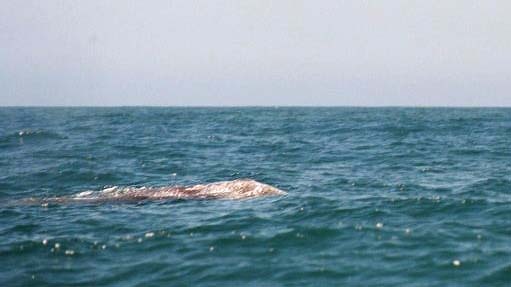 One of the original Whales, before the switch to laminated fiberglass construction. The water in Key West must have something in it that causes your beard to turn white. Look what it did to Hemmingway, and now John Flook! By the way, that's a Mills SUN TOP on Outré, which is larger than the FLYING TOP. 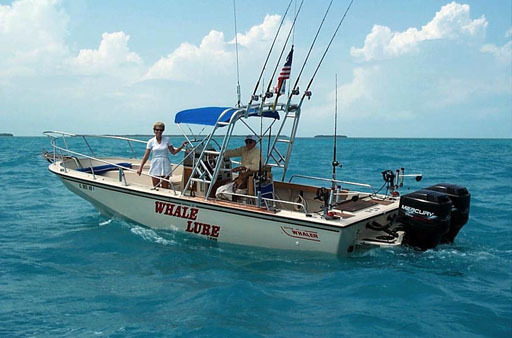 Whaler-specialist First-Class (Intergalactic Fleet) Larry Goltz, aka lhg and frequent companion Lynn are seen here taking a break from Chicago's winter weather and giving WHALE LURE a chance to romp in some salt water.